Most people have heard of black mold from news stories about the toxic reactions of homeowners. Indoor mold can range in color from white to white-green, gray-green, green, shades of brown, and of course, black. All types of indoor mold pose health risks and need to be removed as soon as possible after they are discovered. Black mold, or Stachybotrys chartarum, is often referred to as “toxic mold” but the Center for Disease Control (CDC) says that term isn’t quite accurate. According to the CDC, “….certain molds are toxigenic, meaning they can produce toxins (specifically mycotoxins), the molds themselves are not toxic, or poisonous.” Not every mold that is black in color is Stachybotrys chartarum, so it can’t be detected by sight alone. White mold, on the other hand, is sometimes considered mildew, although true mildew is more powdery and is an early stage of mold. It shouldn’t be confused with efflorescence, which is a crystalline growth often found on brick, concrete, and stucco. It has a white, almost fluffy appearance and is caused by salt deposits. All kinds of mold are hazards to your health and home. That’s why it’s so important to call the experts at ServiceMaster NCR at the first sign of any mold on your property in Alexandria, VA or Washington, DC. 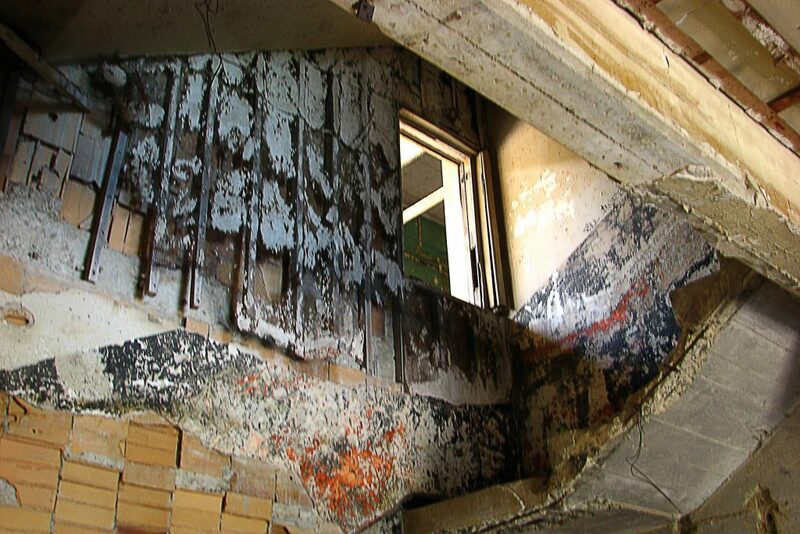 Industry guidelines dictate that visible mold growth over 10 square feet (about a 3’ x 3’ area) should be remediated by a qualified contractor trained and certified in mold remediation and following the EPA and/or BSR-IICRC S520 Standards and Guidelines. We use the InstaScope testing system, which provides instant, on-site reports on the levels of mold in each room, even in hidden areas like inside walls, to thoroughly test your home. There’s no waiting days for results while the mold continues to grow. Mold remediation costs vary, depending on the extent of the infestation.